Prior drilling on the permit area for Upper Pliocene to Upper Miocene targets resulted in 4 gas wells (Gallare Field), 2 gas shows and 5 dry holes. 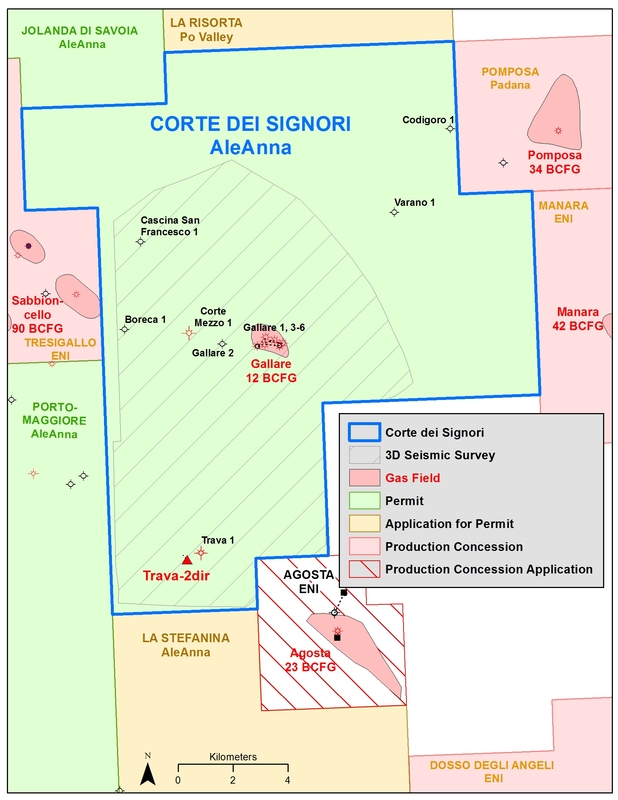 AleAnna’s first 3D seismic survey (136 km2) was acquired here in 2008-2009. Gallare-6dir and 6dirA (sidetrack) wells were drilled in 2012 for Gallare Field gas reserves, but encountered depleted reservoirs. Trava-2dir well has been drilled in early 2017 for gas potential missed by Trava-1. Mapping of the 3D has found prospects in Pleistocene, Pliocene and Miocene reservoirs.